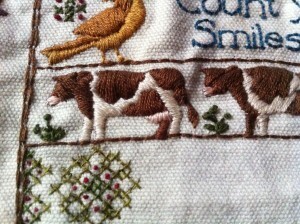 This is an embroidered sampler that I created from a pattern. 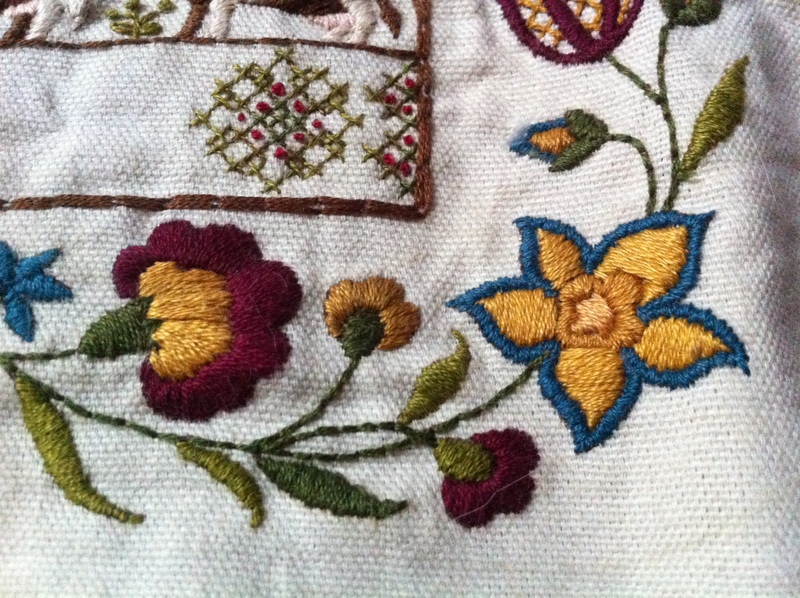 Generally I design my embroidered pieces myself, but this one was kicking around the house, and so I started working on it. The main change that I made was to re-work the colours, which were originally in some super-gross pastels. 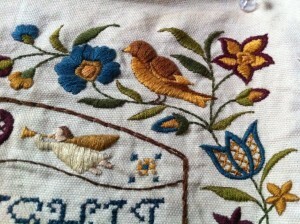 I (obviously) prefer the colours in the picture. 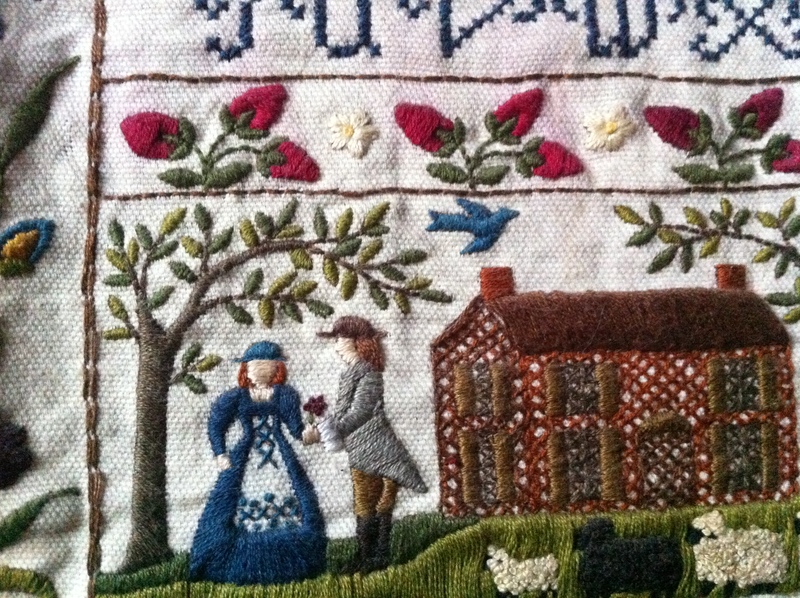 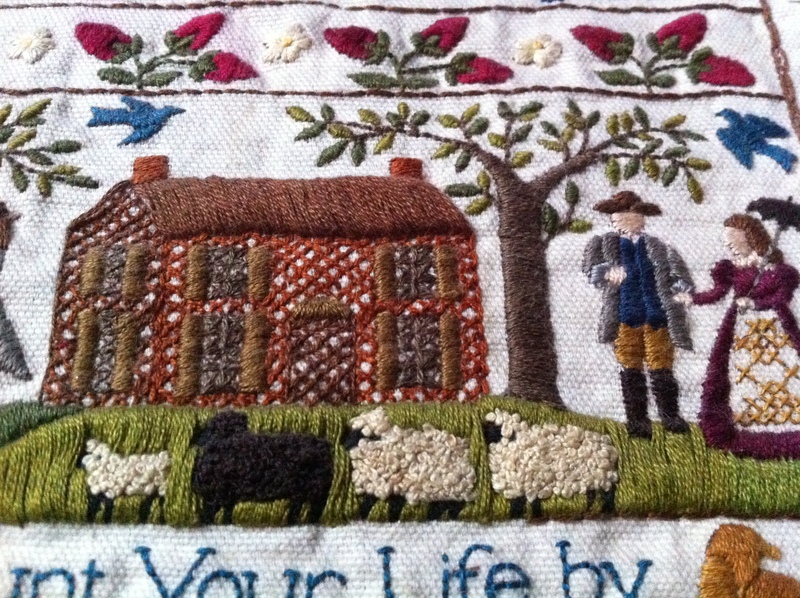 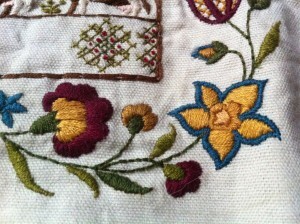 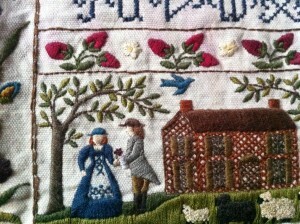 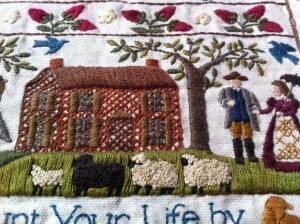 I think this design was called a ‘Jacobean’ sampler, but it looks to me more like the 1980s than the 1600s. 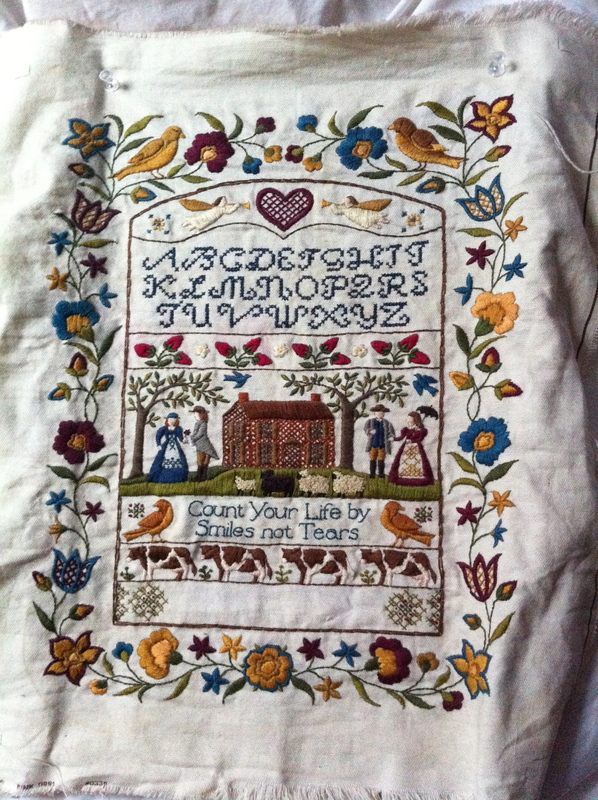 You’ll notice that there’s space at the bottom, which is where my name and the date is supposed to go; it’s the one part I can’t seem to get around to finishing. 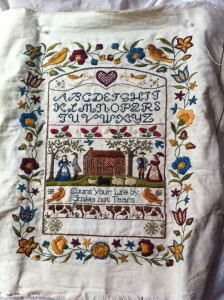 The rest of the sampler has been done for years.